Here is another established manufacturer that concentrates on pistol gun safes. The majority of their products are also biometric units. The Viking Security has been producing high-quality safes for a long time, and they have been receiving excellent reviews for what they deliver. Like we have been pointing out several times, no business or home is 100% safe from fire or theft. The reality is that your firearms and belongings are only as safe as the quality of the protection. Therefore, Viking Security is determined to provide safes that are built to protect your valuables, using only the best quality materials and deliver the price in the market. They have been in the market for a long time, and they perfectly know what it takes to be one step ahead of their competitors. While the industry is constantly improving, Viking is committed to produce gun safes that fit your needs. 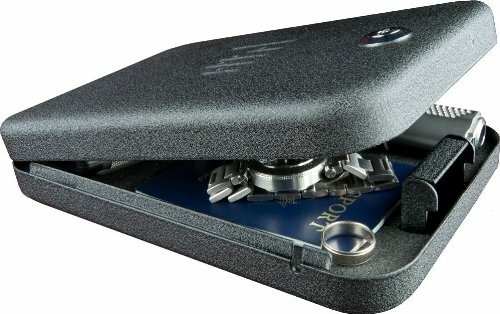 The company has a wide variety of gun safes and is always on the lookout to improve their products with innovative and unique designs to match their costumer’s demands. 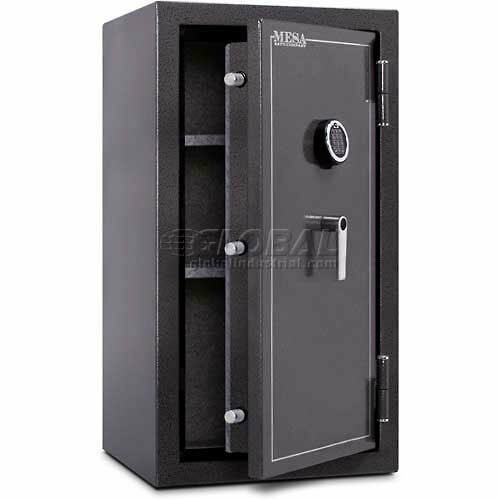 They are the leading gun safe manufacturer in biometric or fingerprint safes. 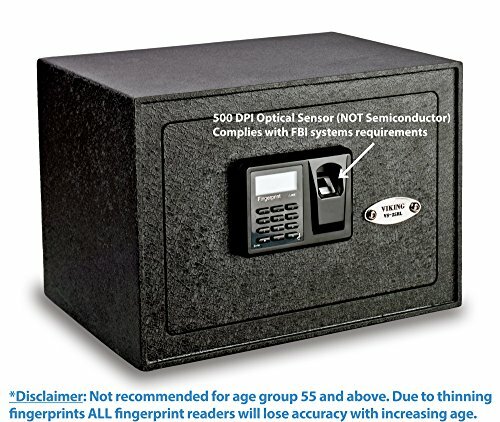 By having a biometric gun safe, you’ll be able to access your safe by scanning your fingerprints. That means that anyone who does not have their fingerprints scanned will not be able to open the gun safe. Have in mind that although the Viking team is mainly focused on smaller safes, their products are not the ideal solution for those who need a compact safe for their car or hard to reach areas. However, they offer plenty of options for in-wall solutions, and they also come in bigger sizes but not big enough to store rifles. These safes are ideal for storing bigger valuables like laptops. Also, the Viking offers an override key system to access the safe as well. Their fingerprint scanners are known to work like a charm and tend to be extremely reliable for quick access. 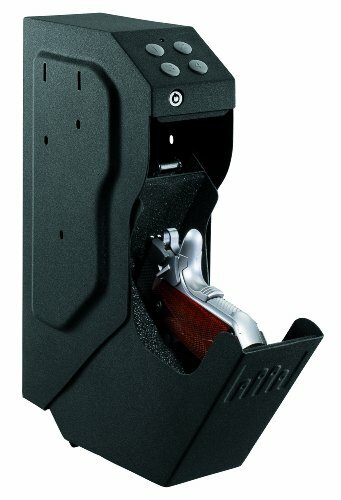 Therefore, their safes are perfect for those who need to secure their small handguns under the desk or in the bedroom. Below you will find more details about best Viking gun safes on the market today. The VS-25BL is widely recognized security storage model from Viking. It does not matter if you need to store your documents or weapons, this unit will go beyond your expectations. This is a biometric safe that you can gain access by scanning your fingerprints. 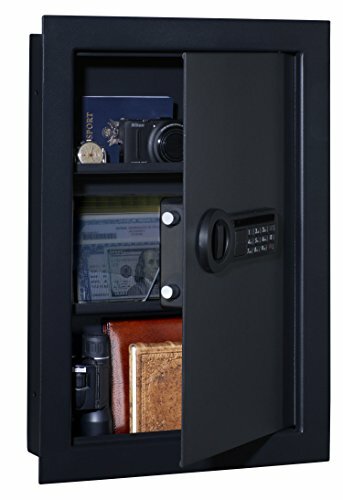 The VS-25BL can store up to 32 fingerprints, so anyone that should can have access to the safe in any case. The construction consists of thick, industry grade steel and this unit was built for quick and easy fingerprint access. This safe has plenty of space for your weapons and documents. If you store your important documents flat, there is still plenty of room for your other valuable documents. There is an adjustable shelf that you can customize to your needs, in order to ensure that you will have all your stuff neatly organized. In the event that you forget to unlock the safe, or close the door, the safe will alert you. Moreover, there is a built-in LED light that illuminates to give you the perfect view of the inside, even in complete darkness. There is a battery that powers the LED light and the display. The display will always indicate the battery level, so you will never experience power loss with this unit. There is also an additional security feature that kicks-in if the wrong code has repeatedly been entered. After several failed attempts, the safe will enter sleep mode, and you won’t be able to enter the access code for several minutes. Overall, this is a fantastic biometric solution that comes with an optical sensor along with a digital keypad. It is built with heavy-duty steel with a door that opens up immediately. Additionally, there is a one year warranty on all Viking safes. Now is your chance to invest in a fantastic safe that protects your precious belongings and keeps your firearms safely locked up. This is a large fingerprint LCD key-pad unit that offers quick and secure access to your valuables in seconds. The Viking team has been offering top of the line locking mechanism for a long time, and they know what it takes to build a reliable and strong safe. The innovated optical fingerprint reader allows you extremely quick access. 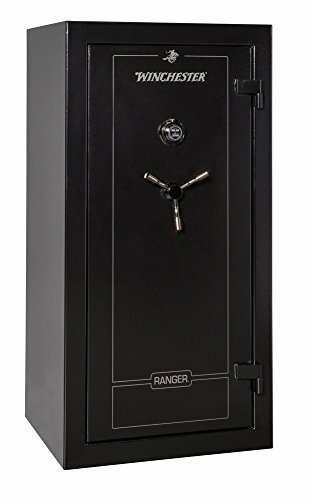 Moreover, this safe can store up to 32 fingerprints, one pin code and the high-tech optical sensor makes sure that only those who have their fingerprints registered can access the safe. In the highly unlikely event that the fingerprint system fails, you will be able to gain access through the digital panel or use a key. 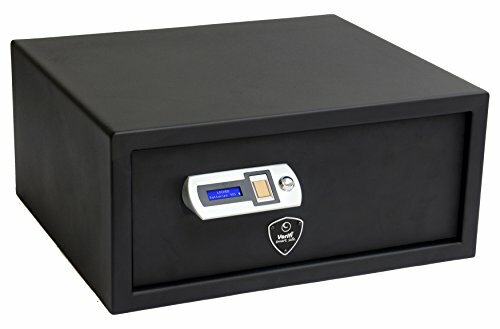 High-quality steel ensures maximum protection, and this is one of the first-class security safes that was built to be pry-resistant, thanks to the seamlessly welded construction and scratch resistant texture. There is also highly advanced locking mechanism that includes motorized deadbolts that work together with 2x anti-pry insertion slots to provide a high level of security for your belongings. Once you open the safe, you can see that the interior is beautifully carpeted and there is a LED light that helps you to identify each object in the safe during darkest hours. Moreover, there are three adjustable shelves included that help you to keep everything in order. 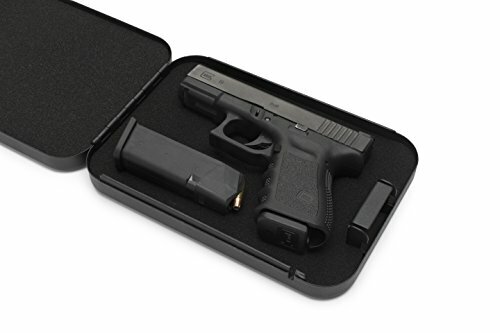 Overall, this is the ideal storage solution for those who own small firearms, jewelry, electronics and other important belongings. There are two back- up keys, 4 AA batteries and there is a 1-year limited warranty from the Viking team. Here is another first class product from the Viking stable and of course this is a high-quality, fingerprint safe that opens in a different way than a traditional safe. 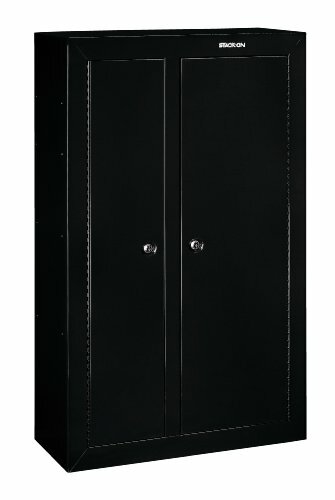 Standard safes on the market have a door in front that opens up like a closet. However, the door is at the top in the VS-14BL. Therefore, this is a fantastic solution for those who need a compact but secure option to have in a drawer. If you can access your belongings from the top of a safe, you will be able to reach your gun in seconds from the drawer in case of an emergency. It also consists of backup access where you can enter a pin code on the digital keypad, or you can access it using the two keys that are included. It has a memory that can store up to 32 unique fingerprints. That way, only those who are meant to have access to the safe can gain quick access. The housing is constructed of durable steel and has beautiful scratch resistant finish. The locking mechanism is high advanced and includes a motorized deadbolt lock system. The interior is fully rugged that prevents any scratching and damages to your belongings inside. Overall, this is one of Viking´s compact safes that would be ideal for mounting in your bedroom drawer or in your vehicle. 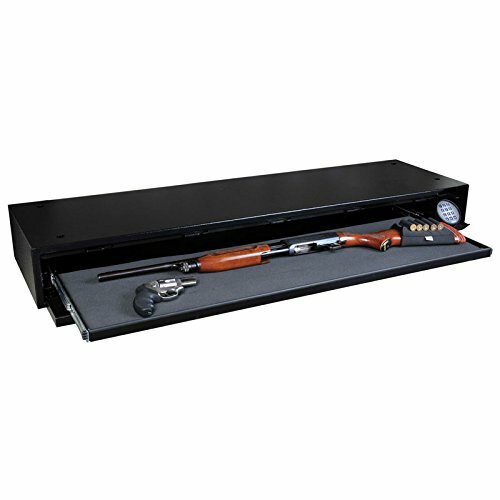 This unit offers everything you need in a gun safe if you are looking for a portable but durable unit. Additionally, the Viking company includes a 1 year limited warranty on all their products. Our first Viking pick is the fantastic VS-52BLX safe that is constructed from heavy-duty steel and is thoroughly welded to generate the ideal protection for your valuable belongings. It was built with an industry-leading biometric finger-print scanner along with a digital keypad to ensure easy access at all times. There is a motor driven lock mechanism, along with an LCD that you can operate and see the battery level. This safe is extremely spacious and comes with three removable shelves, so you can adjust the design to fit your needs. To boost the comfort level even more, the Viking included an internal light to ensure that you can always have a clear view of everything inside the safe, even during darkest hours. This unit is very heavy and was built to provide maximum security. However, despite its weight, the installation process is extremely easy. This is a well-built, quality steel production that will turn out to be a massive headache for any burglar, no matter if the thief is heavily armed with tools. This unit is perfect as an in-wall solution, thanks to its streamlined design. Moreover, you can mount it behind a painting or a mirror without anyone noticing there is a safe placed in the wall. All in all, this is a sturdy and as close to indestructible construction as it can get. With both digital keypad solution and massive bolts, this unit will provide top-rated protection in any home or company. On top of that, it is very reasonably priced, compared to the overall quality of the unit and to protect your purchase; the Viking offers a 1-year limited warranty. 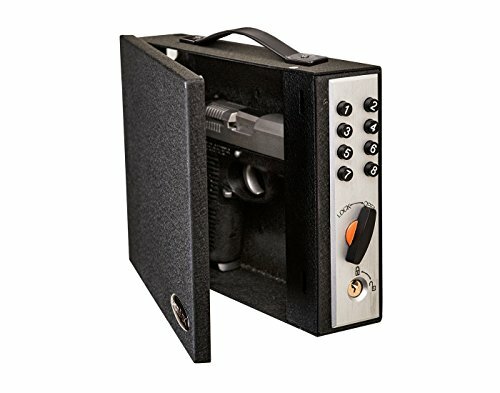 The best thing about selecting a Viking security safe is that it actually does not matter what model you choose because most of them feature all the same bells and whistles. Therefore, the only decision that you have to make is the size and the design. Otherwise, you will receive the same security protection. 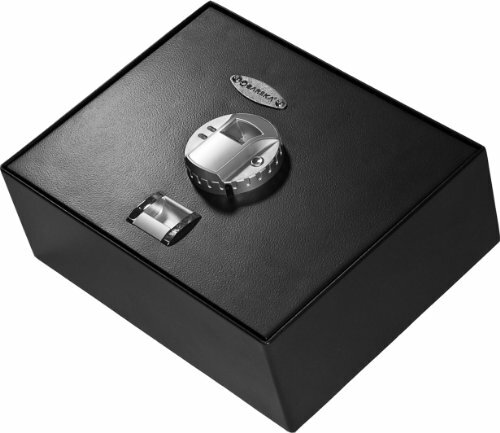 Viking has a wide variety of safes that are designed to suit many different purposes. The Viking brand is highly favored among those who own handguns and need a well-built and sturdy safe to store it inside. Although the Viking brand is mainly for pistols and smaller weapons, they are extremely spacious and well organized with shelves and a key rack. One of Viking´s primary selling point is their advanced fingerprint technology that is built on the premium quality biometric system that highlights 500 DPI optical sensor. This fingerprint reader is among the most innovative optical sensor on the market today. 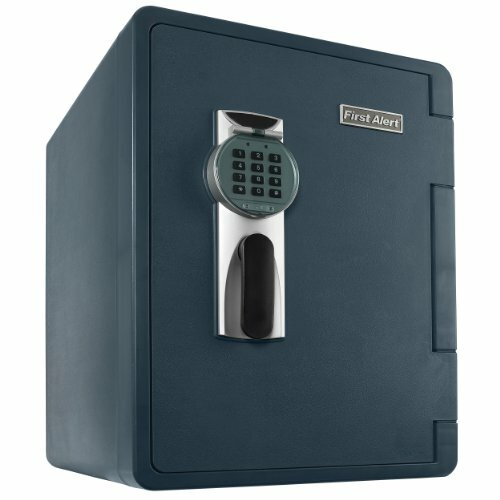 All safes are capable of storing up to 32 unique finger-prints, to ensure that only authorized individuals can access the safe. Moreover, it will take you less than a second to access all your belongings. 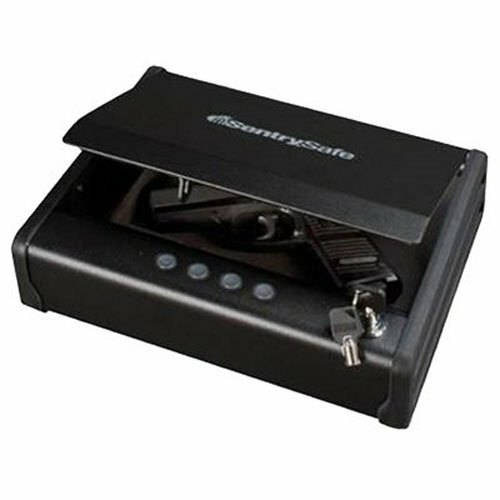 All that you need to do is place your fingertips on the scanner, and the safe will quickly open. All the Viking Security safes feature a stylish and sturdy design. The construction process follows strict, quality guidelines to ensure that every steel part of the safe is seamlessly welded. There are many designs and sizes to choose from, that range from a compact drawer safe to a larger in-wall safe. Also, the door features a 5mm thick steel design that wonderfully compliments the overall design while making it almost impossible to pry open. One thing is sure, Viking has something that fits anyone’s needs and style. This is a factor that Viking takes very seriously because they think it is essential to be able to rely on quick access in any situation. There is nothing more annoying than being locked out of your own gun safe. Therefore, the Viking team has taken care of that problem, and they will provide you with up to 3 different ways to access the belongings in your safe. You can scan your fingerprints, enter a digital code or use the two keys to access your contents. That way, Viking has your back covered, and you will never lock yourself out of the safe. Every single Viking safe is beautifully rugged to ensure that all your items will be protected from damage. Also, most safes are equipped with a LED light to provide you with proper illumination so you can clearly have a complete overview of everything that is inside the safe, regardless if it is night or a day. Another great organizing solution are the shelves that divide the safe into sections. This will vary from 1-2 shelves that you can remove to satisfy your storage demands. All Viking safes come with a sophisticated LCD that allows you to see every operation, numbers and battery level clearly. Also, there is an additional symbol that alerts you if you leave the safe open, or if it didn’t lock properly. Although the overall structure of the safe offers high-level of protection, it is the additional security features that make this safe ahead of its competitors. Many safes on the market come with a so-called turning knob. In that case, you need to turn a wheel to the left and right until your final spin opens up the safe. This can be extremely time consuming, and especially in a situation if you experience an intruder in your house. Then, you will start to make mistakes turning the knob in despair, and it could end up that you couldn’t access your weapon in time. However, Viking has solved this problem without sacrificing safety. The way they did it, is by using two 20mm advanced motorized steel locking bolts that will ensure extremely fast access to your stuff. Viking offers flexibility and convenience on a scale that is hard to beat. They range in size, and one thing is certain, that anyone can find a safe that suits their demands and style. It doesn’t matter if you are in the market for a safe that can store your weapons, important documents, family photos, jewelry, electronics or savings, because Viking has you covered no matter what you need to store safely. Most importantly, Viking is committed to provide top security with quick and dependable access at all times. We did mention above that the security features in Viking safes are the same, but they range in shapes and sizes. That way, Viking offers you a versatile solution so that you will be able to select a safe that perfectly matches your demands and needs. 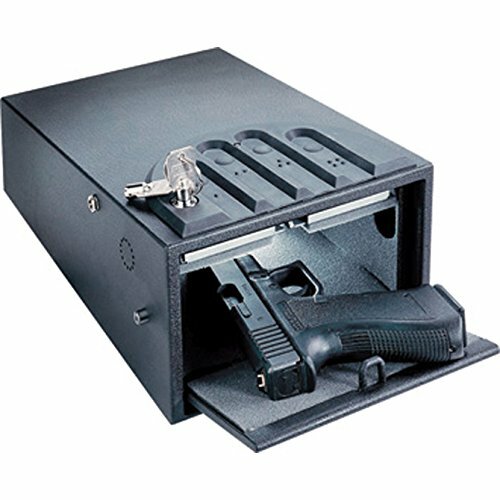 Overall, the safes mentioned above are the best-sold gun safes from Viking Security, and you can rest assured that they are all prime quality with high-grade security features that will suit any handgun owner. In fact, the Viking stable has a safe for you no matter what you want to store. Their products are known to deliver security, versatility, reliability and quick access. In case you are thinking about investing in a biometric safe, you should seriously consider a unit from the mighty Viking stable.